Sisense on Linux is built on a modern Microservices architecture coupled with Docker containers and Kubernetes orchestration enabling faster delivery, high-resiliency, and scalability. Sisense on Linux lets you leverage all the benefits of Linux including security, flexibility, and low TCO making this the go-to-choice for Enterprise and Cloud deployments today. 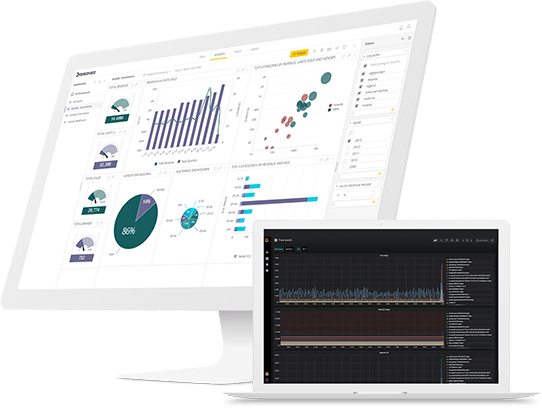 Combined with a cloud-native architecture, Sisense on Linux allows you to seamlessly integrate analytics into your deployment workflow and DevOps processes – be it on the cloud or on-prem. With Sisense on Linux, you can build and manage a future-ready application that is designed to scale.